Whitney Holloman, junior civil engineering major, and Becca Richinson, junior recreation and sport and psychology major, both transferred to William Jewell College after spending their first years elsewhere. Their motivations to transfer were rooted in tennis. They room next door to each other, have similarly bubbly personalities and are best friends. But they did not know each other until their first shared tournament the summer before starting at Jewell. Richison, notably shorter than her friend and teammate, laughingly recalled how her pal’s unique voice and outgoing tendencies first sparked the relationship. “So she’s like this giant, right? And we’re playing the same tournament, she just comes off the court, gets killed by one of these really good friends of mine, and she goes, ‘Hi! I’m Whitney,’” she said. Richison started her college career at East Central University in Ada, Okla., where she played tennis and joined the Zeta Tau Alpha sorority. When her sport’s program was cut, she immediately began seeking another place to play. 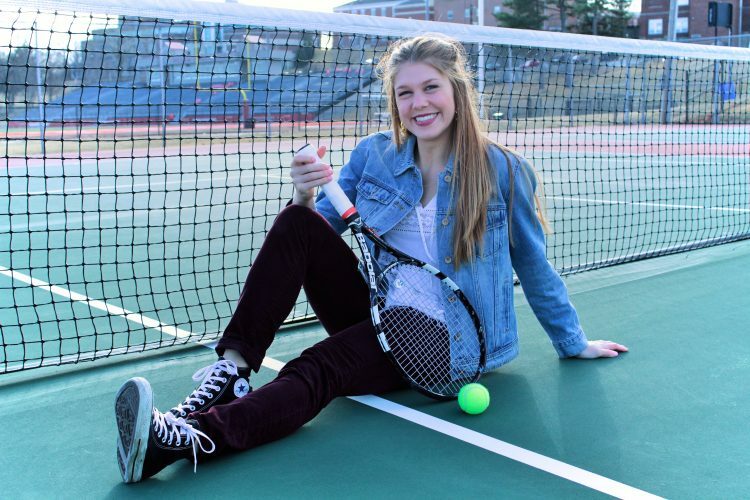 Tennis was the most important factor in the search, as she has played since she was six years old, but she also hoped to find another Zeta chapter. When her “crazy tennis dad” found Jewell, she was sold. Holloman came to the College from Washburn University in Topeka, Kan., where she did not quite click with her tennis coach. She was fond of her teammates and still loved the game, so she decided to seek a new environment to give the game another try elsewhere. Her criteria were Division II sports and civil engineering. “I transferred for tennis, but the reason I chose Jewell is because of the civil engineering program. Because I wanted to play Division II tennis, and it’s super rare for a Division II school to have a civil engineering program. And Jewell’s academics are, you know, credited so highly that I chose Jewell,” said Holloman. She first learned of the College when Washburn played Jewell in a match during her first year. She was struck by the team’s friendliness and the coach’s kindness. Like Richison, Holloman’s discovery of Jewell seems rather serendipitous, as she happened upon the school right before the inaugural year of the civil engineering program that was the selling point for her. The two transferred in at the same time, and their mutual sociability and passion for the sport became the roots of a continually blossoming friendship. They share an appreciation for the competition of the game. Holloman has only been playing tennis with a college-level focus since she was 17. Because she was a five-sport athlete in high school, it was difficult for her to narrow her interests into one pursuit. She is happy with her choice, though. She even said that rather than collegiate-level pressure making her feel less engaged, as is relatively common with college athletes, the increased competition has made her know and love tennis even more. She explained how she has become more appreciative of the complete focus that it requires. “It’s not purely an athletic sport, like you go out on the court and it’s like never a for sure thing whether you’re gonna win or lose. I don’t know, it makes it more interesting. To go out there and know you always have a chance. Something could happen. It’s so mental and physical at the same time,” said Holloman. Richison’s longer-term pointed focus on tennis has not made her love for it taper, either. As with Holloman, it’s the competition that drives her continued appreciation. Richison will keep tennis in her life in a quite direct way. She plans to use her degree to continue and expand her tennis coaching, a vocation she has already been pursuing for a year and a half. 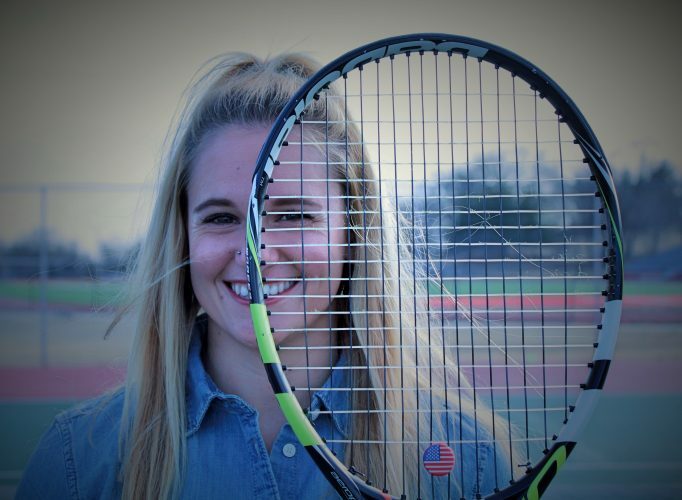 Holloman plans to retire from the more professional kind of tennis when she graduates to pursue a spot on a project management team at a construction and engineering company. She is heading this way starting this summer with an internship with JE Dunn in Kansas City, Mo., the first Jewell student to hold such a position there. However, this career path doesn’t mean she won’t keep her sport in her life. Her current and serious boyfriend is a club teaching pro, and their shared love of the sport and her interest in adult recreational leagues will keep her in touch with the game. “Tennis is definitely a lifetime sport,” said Holloman. These women’s shared love for tennis’s competition and similar transferring experiences led them into each other’s lives. But they would have been friends regardless, they are sure. Richison loves how her friend keeps her on her toes, complete with spot-on voice and hand motion imitations. Midwestern weather means the tennis team’s current practice schedule is determined by indoor court availability, so the two friends can be seen giggling and walking to their next-door rooms late on week nights. To see this bubbly duo in action, support women’s tennis today at 2 p.m. at William Woods University.